Another family birthday has come and gone. Miss S celebrated turning eight with a gymnastics party and lots of Lego gifts. The second small family celebration with the oldies called for a birthday cake that was wheat free, dairy free and contained no almonds, a challenge to say the least! Miss S’ second favourite food is raspberries, cucumber is a hot number one. Cucumber cake seemed just a bit too weird so raspberries had to feature. I almost resorted to Raspberry Surprise Cupcakes, but every time I opened the fridge door three egg whites in a cup waved and whistled. This idea grew from those pesky, attention seeking egg whites. The meringue layers were inspired by Maggie Beer’s layered passionfruit ice cream with macadamia nut meringue. Unless you have arms like “Popeye” a stand mixer is the best best of equipment for making meringue. Use a scrupulously clean metal bowl for the best results. The macadamia nut are simply roasted on a clean dry oven tray until golden, cooled, then coarsely ground in the food processor. Preheat the oven to 140C fan forced. Prepare three baking trays. Cut a sheet of baking to fit each tray. Trace a 20cm circle thickly with pencil onto the centre of each piece of baking paper using the base of a cake tin as a template. Place one sheet on each tray upside down so the meringue does not come into contact with the graphite from the pencil. You should still be able to see the outline. Whisk the egg whites with a pitch of salt into soft peaks. Add the sugar I tablespoon at a time beating continuously until the meringue is thick and glossy and the sugar has dissolves. Add the vinegar and cornflour, beat for a further 30 seconds. Remove the bowl from the mixer, the fold the macadamia nut meal through the meringue by hand. Bake the meringue layers for 30 minutes, or until lightly browned and puffed. Gently transfer the meringue to a cooling wire. The meringue can be made the day before needed. A couple of hours before serving put a dollop of lemon curd on the serving plate then place a meringue disc on top. Spread the meringue generously with lemon curd. Spoon a thin layer of mashed raspberry jelly on top of the lemon curd. 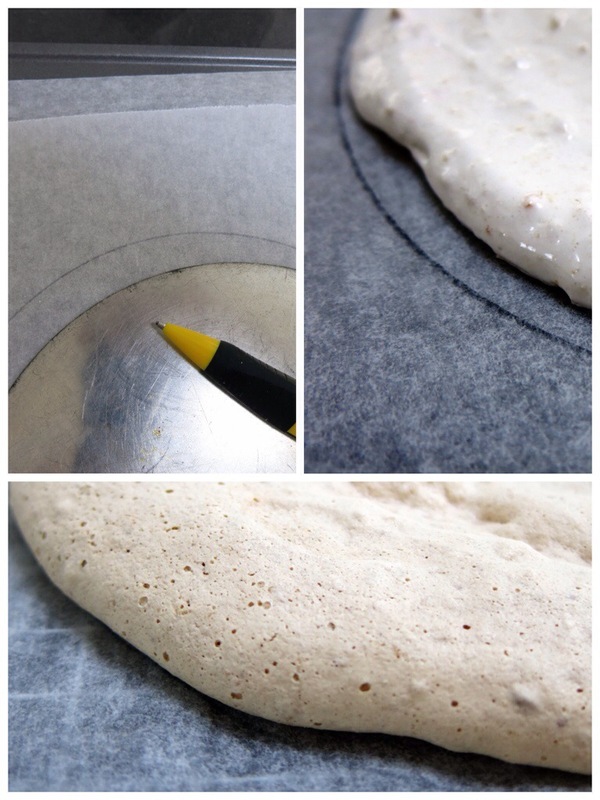 Top with a disc of meringue and repeat the layers. When the top meringue layer is in place, spread generously with lemon curd and decorate the cake with fresh raspberries. Allow the cake to rest in a cool place for a couple of hours before serving. At least your waistline is saved! Oh my god, that’s amazing!!! But I’ve always wondered.. how do you cut it?!!! Happy belated birthday to Miss S., I hope she had an amazing day, beautiful exactly as her cake! Happy birthday to Miss S! I totally dig her taste in food! The birthday cake is perfection. Thanks Azita, the different layers were fabulous together. Happy birthday to Miss S! What a delicious idea! Lego and this cake. What else does a wee girl need? Fab! Happy Birthday, Miss S! What a wonderful cake. Lemon curd + raspberries – great flavour combo. No leftovers. Says it all! One lucky Miss S, a beautiful and yummy cake for her 8th birthday! Thanks Fae. She was a happy girl, that’s for sure.. Happy birthday Miss S! La la la laaaa la la, la la la la,,la la,la la la la laaaaah laahhhh laahhhh, la la la lahhhh, la la! Thanks Stacey, Miss S giggled when I showed her your comment. How fabulous- a birthday cake that covers all the ( allergy) bases. Funny, I have a granddaughter who puts cucumber as number 1. 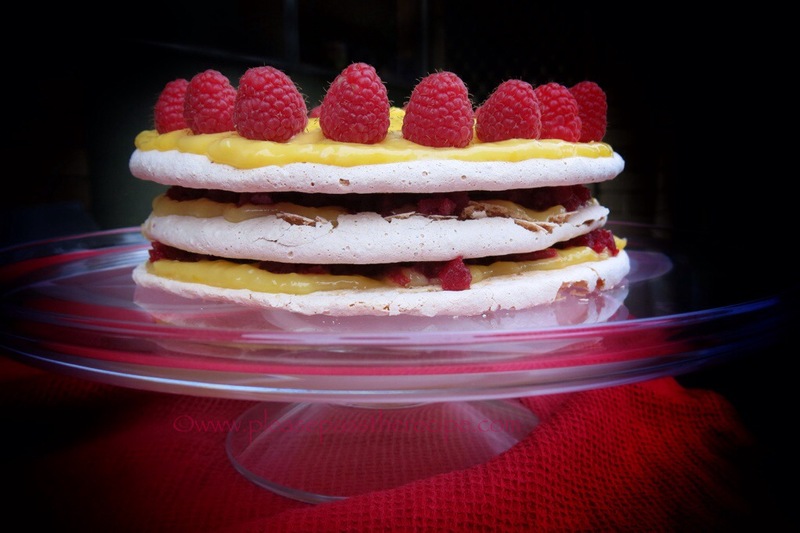 This entry was posted on July 2, 2014 by ladyredspecs in Baking, Cakes, Dairy Free, Desserts, FODMAP diet, Food, Gluten Free, Gluten free baking, Light dessert and tagged CURD, FODMAP friendly, lemon, macadamia nuts, meringues, raspberries.